Colorado Q and A - Knowing Your Constitutional Rights - The First Step In A Colorado Criminal Defense Strategy - Denver Criminal Attorney Specializing in Domestic Violence Cases - Colorado Criminal Defense Lawyer. 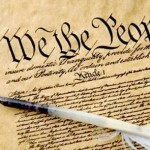 The following excerpts are from the ACLU’s booklet on knowing your rights – it is an excellent summary of the individual’s constitutional rights and the information contained herein should be freely distributed. While a website might explain basic rights it is not a substitute for legal advice. You should contact an attorney if you have been arrested or believe that your rights have been violated. CALL a Colorado Criminal Defense Lawyer immediately. Colorado Q and A – Knowing Your Constitutional Rights – The First Step In A Colorado Criminal Defense Strategy? Q: What kind of law enforcement officers might try to question me? A: You could be questioned by a variety of law enforcement officers, including state or local police officers, Joint Terrorism Task Force members, or federal agents from the FBI, Department of Homeland Security (which includes Immigration and Customs Enforcement and the Border Patrol), Drug Enforcement Administration, Naval Criminal Investigative Service, or other agencies. Q: Do I have to answer questions asked by law enforcement officers? A: No. You have the constitutional right to remain silent. In general, you do not have to talk to law enforcement officers (or anyone else), even if you do not feel free to walk away from the officer, you are arrested, or you are in jail. You cannot be punished for refusing to answer a question. It is a good idea to talk to a lawyer before agreeing to answer questions. In general, only a judge can order you to answer questions. Q: Are there any exceptions to the general rule that I do not have to answer questions? A: Yes, there are two limited exceptions. First, in some states, you must provide your name to law enforcement officers if you are stopped and told to identify yourself. But even if you give your name, you are not required to answer other questions. Second, if you are driving and you are pulled over for a traffic violation, the officer can require you to show your license, vehicle registration and proof of insurance (but you do not have to answer questions). Q: Can I talk to a lawyer before answering questions? A: Yes. You have the constitutional right to talk to a lawyer before answering questions, whether or not the police tell you about that right. The lawyer’s job is to protect your rights. Once you say that you want to talk to a lawyer, officers should stop asking you questions. If they continue to ask questions, you still have the right to remain silent. If you do not have a lawyer, you may still tell the officer you want to speak to one before answering questions. If you do have a lawyer, keep his or her business card with you. Show it to the officer, and ask to call your lawyer. Remember to get the name, agency and telephone number of any law enforcement officer who stops or visits you, and give that information to your lawyer. (This does not apply to DUI cases where you are required to take an alcohol breath or blood test). Q: What if I speak to law enforcement officers anyway? A: Anything you say to a law enforcement officer can be used against you and others. Keep in mind that lying to a government official is a crime but remaining silent until you consult with a lawyer is not. Even if you have already answered some questions, you can refuse to answer other questions until you have a lawyer. threatens to get one for you, you should call a lawyer right away. If you are given a subpoena, you must follow the subpoena’s direction about when and where to report to the court, but you can still assert your right not to say anything that could be used against you in a criminal case. Q: What if I am asked to meet with officers for a “counter-terrorism interview”? A: You have the right to say that you do not want to be interviewed, to have an attorney present, to set the time and place for the interview, to find out the questions they will ask beforehand, and to answer only the questions you feel comfortable answering. If you are taken into custody for any reason, you have the right to remain silent. No matter what, assume that nothing you say is off the record. And remember that it is a criminal offense to knowingly lie to an officer. Q: What if law enforcement officers stop me on the street? A: You do not have to answer any questions. You can say, “I do not want to talk to you” and walk away calmly. Or, if you do not feel comfortable doing that, you can ask if you are free to go. If the answer is yes, you can consider just walking away. Do not run from the officer. If the officer says you are not under arrest, but you are not free to go, then you are being detained. Being detained is not the same as being arrested, though an arrest could follow. The police can pat down the outside of your clothing only if they have “reasonable suspicion” (i.e., an objective reason to suspect) that you might be armed and dangerous. If they search any more than this, say clearly, “I do not consent to a search.” If they keep searching anyway, do not physically resist them. You do not need to answer any questions if you are detained or arrested, except that the police may ask for your name once you have been detained, and you can be arrested in some states for refusing to provide it. Q: What if law enforcement officers stop me in my car? A: Keep your hands where the police can see them. You must show your drivers license, registration and proof of insurance if you are asked for these documents. Officers can also ask you to step outside of the car, and they may separate passengers and drivers from each other to question them and compare their answers, but no one has to answer any questions. The police cannot search your car unless you give them your consent, which you do not have to give, or unless they have “probable cause” to believe (i.e., knowledge of facts sufficient to support a reasonable belief) that criminal activity is likely taking place, that you have been involved in a crime, or that you have evidence of a crime in your car. If you do not want your car searched, clearly state that you do not consent. The officer cannot use your refusal to give consent as a basis for doing a search. Q: What should I do if law enforcement officers arrest me? A: The officer must advise you of your constitutional rights to remain silent, to an attorney, and to have an attorney appointed if you cannot afford one. You should exercise all these rights, even if the officers don’t tell you about them. Do not tell the police anything except your name. Anything else you say can and will be used against you. Ask to see a lawyer immediately. Within a reasonable amount of time after your arrest or booking you have the right to a phone call. Law enforcement officers may not listen to a call you make to your lawyer, but they can listen to calls you make to other people. You must be taken before a judge as soon as possible — within 48 hours of your arrest at the latest. Q: Do I have to answer questions if I have been arrested? A: No. If you are arrested, you do not have to answer any questions or volunteer any information. Ask for a lawyer right away. Repeat this request to every officer who tries to talk to or question you. You should always talk to a lawyer before you decide to answer any questions. Q: Can law enforcement officers search my home or office? A: Law enforcement officers can search your home only if they have a warrant or your consent. In your absence, the police can search your home based on the consent of your roommate or a guest if the police reasonably believe that person has the authority to consent. Law enforcement officers can search your office only if they have a warrant or the consent of the employer. If your employer consents to a search of your office, law enforcement officers can search your workspace whether you consent or not. Q: What are warrants and what should I make sure they say? A: A warrant is a piece of paper signed by a judge giving law enforcement officers permission to enter a home or other building to do a search or make an arrest. A search warrant allows law enforcement officers to enter the place described in the warrant to look for and take items identified in the warrant. An arrest warrant allows law enforcement officers to take you into custody. An arrest warrant alone does not give law enforcement officers the right to search your home (but they can look in places where you might be hiding and they can take evidence that is in plain sight), and a search warrant alone does not give them the right to arrest you (but they can arrest you if they find enough evidence to justify an arrest). A warrant must contain the judge’s name, your name and address, the date, place to be searched, a description of any items being searched for, and the name of the agency that is conducting the search or arrest. An arrest warrant that does not have your name on it may still be validly used for your arrest if it describes you with enough detail to identify you, and a search warrant that does not have your name on it may still be valid if it gives the correct address and description of the place the officers will be searching. However, the fact that a piece of paper says “warrant” on it does not always mean that it is an arrest or search warrant. A warrant of deportation/removal, for example, is a kind of administrative warrant and does not grant the same authority to enter a home or other building to do a search or make an arrest. Q: What should I do if officers come to my house? A: If law enforcement officers knock on your door, instead of opening the door, ask through the door if they have a warrant. If the answer is no, do not let them into your home and do not answer any questions or say anything other than “I do not want to talk to you.” If the officers say that they do have a warrant, ask the officers to slip it under the door (or show it to you through a peephole, a window in your door, or a door that is open only enough to see the warrant). If you feel you must open the door, then step outside, close the door behind you and ask to see the warrant. Make sure the search warrant contains everything noted above, and tell the officers if they are at the wrong address or if you see some other mistake in the warrant. (And remember that an immigration “warrant of removal/deportation” does not give the officer the authority to enter your home.) If you tell the officers that the warrant is not complete or not accurate, you should say you do not consent to the search, but you should not interfere if the officers decide to do the search even after you have told them they are mistaken. Call your lawyer as soon as possible. Ask if you are allowed to watch the search; if you are allowed to, you should. Take notes, including names, badge numbers, which agency each officer is from, where they searched and what they took. If others are present, have them act as witnesses to watch carefully what is happening. Q: Do I have to answer questions if law enforcement officers have a search or arrest warrant? A: No. Neither a search nor arrest warrant means you have to answer questions. Q: What if law enforcement officers do not have a search warrant? A: You do not have to let law enforcement officers search your home, and you do not have to answer their questions. Law enforcement officers cannot get a warrant based on your refusal, nor can they punish you for refusing to give consent. Q: What if law enforcement officers tell me they will come back with a search warrant if I do not let them in? A: You can still tell them that you do not consent to the search and that they need to get a warrant. The officers may or may not succeed in getting a warrant if they follow through and ask the court for one, but once you give your consent, they do not need to try to get the court’s permission to do the search. Q: What if law enforcement officers do not have a search warrant, but they insist on searching my home even after I object? A: You should not interfere with the search in any way because you could get arrested. But you should say clearly that you have not given your consent and that the search is against your wishes. If someone is there with you, ask him or her to witness that you are not giving permission for the search. Call your lawyer as soon as possible. Take note of the names and badge numbers of the searching officers. If you have questions about Your Constitutional Rights in the Denver metropolitan area and throughout Colorado, attorney H. Michael Steinberg will be pleased to answer those questions and to provides quality legal representation to those charged in Colorado adult and juvenile criminal matters.